How Do Vibration Machines Reduce Cellulite? Cellulite is a skin condition whereby the skin appears to have bumps and depressions and might be sagging. What you actually see is an uneven distribution of fat cells that are protruding through the skin. Cellulite is most common among adult women but men can have cellulite, too. This skin condition is most likely to occur on the thighs, abdomen and buttocks in both women and men. Aside from knowing that cellulite has to do with fat cells and skin cells, it is still uncertain what the real cause is. Doctors have determined a few different factors that can influence cellulite production but these may differ per person. Some of the factors influencing the production of cellulite are genetic but other factors have to do with lifestyle and diet. Since lifestyle and diet are the only factors that you have actual control over, let’s take a look at how you can handle or prevent cellulite through exercise and healthy eating patterns. Diets high in fat, carbohydrates and salt are known to increase the production of cellulite. Limiting these food groups in your diet and including a healthy amount of fibre can help reduce the onset of cellulite. A healthy diet should be combined with enough exercise to have the best effects. Inactivity can also increase the build-up of protruding fat cells so make sure to stay active throughout the week. If you already have cellulite, it helps to do exercises that target the thighs, hips, buttocks and abdomen. Such targeted exercise lowers the amount of fat in these areas and so also reduces the fat cells that would otherwise cause cellulite. Another important lifestyle change to make is to stop smoking. Smoking ages and weakens the skin in many ways and cellulite is one of those ways. There are many treatments that supposedly remove cellulite but doctors note that most of these treatments only provide temporary results. Your skin cells are constantly renewing so dealing with cellulite is a lifelong process. 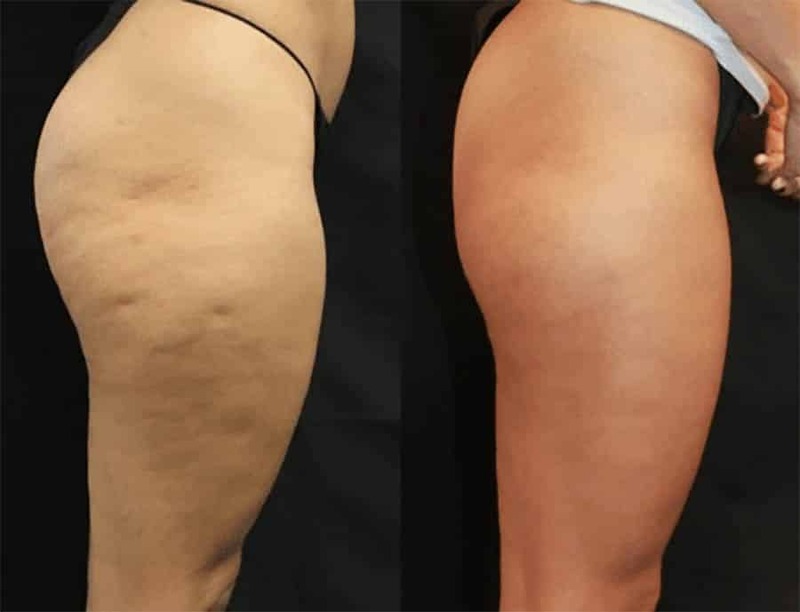 Here are a few examples of cellulite treatments and their effectiveness. Most of these treatments are medical procedures and should not be attempted without a qualified physician. A laser moves underneath the skin to break the affected skin cells. Long term effectiveness but needs to be repeated about once a year. Breaking up the skin with needles. This treatment is usually performed by a dermatologist. Long term effectiveness but needs to be repeated about every 2 years. Cuts the connection between fat cells and skin cells allowing new tissue to rise higher and reduce the appearance of cellulite. Long term effectiveness but it varies how often the procedure needs to be repeated. Radiofrequency treatment is more effective in combination with laser treatment or other cellulite treatment options. Long term effectiveness but needs to be repeated about twice a year. Retinol cream can help reduce the appearance of cellulite. However, this is a slow process and may not be effective for everyone. One of the reasons why exercise is an important factor in cellulite reduction is the increased blood flow and toxin release. To some extent, certain massage treatments can have the same effect but again, the results differ per person. 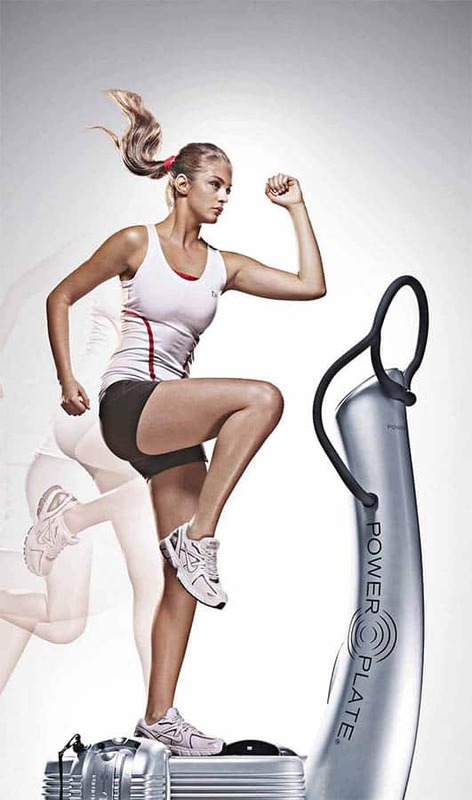 Using vibration machines to target cellulite-prone areas is a treatment based on the fact that exercise reduces the build-up of fat cells and thus also cellulite. It’s the most natural treatment but requires commitment. If you have cellulite or would like to prevent cellulite from building up in a natural way, then using vibration plates are a great option. For a cellulite reducing exercise routine, you can perform targeted exercises that specifically address the muscles and fat around the thighs, buttocks and abdomen. Exercise in general increases blood flow, removes toxins from the body and breaks down fat cells which are all factors reducing the build-up of cellulite (and losing weight). 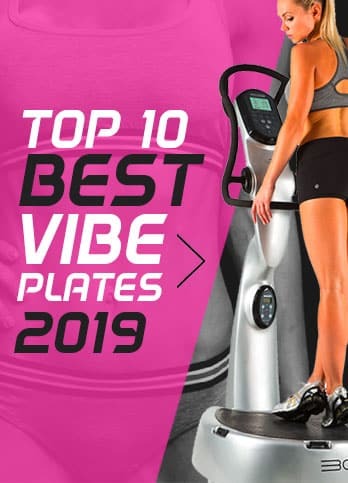 Vibration machines are known to be more effective than regular exercise so consider cellulite targeting exercises on a vibration machine an impact boosting tool. Vibration plate exercises that address the cellulite areas are squats, leg extensions, lunges, quad rolling and the pigeon yoga pose. Take a look at our other posts for more tips on exercise routines and the benefits of vibration machines.